Elements is a web based traceability platform that will help the Roundtable on Sustainable Biomaterials' participating operators comply with Europe's RED, including managing data associated with multiple feedstocks from around the world. The biodiesel incentive will likely be considered as part of a comprehensive tax extenders package that includes many other tax breaks. It's important for biodiesel supporters to urge their representatives to take action. A recent report issued by Grand View Research indicates the global market for specialty fuel additives is expected to reach $8.5 billion by 2020. 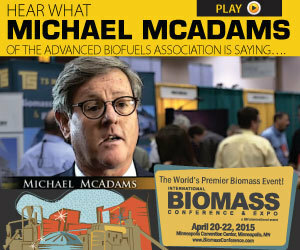 Clearly there is money to be made, and room for improvement, in the biodiesel additive market. Iowa Gov. Terry Branstad will become chairman of the Governors' Biofuels Coalition beginning in January, the GBC announced. Grant Kimberley, executive director of the Iowa Biodiesel Board, issued a congratulatory statement. Pacific Biodiesel Technologies is partnering with the Sustainable Living Institute of Maui at UH Maui College to hold a two-hour class on multi-industry use of biodiesel, titled, "The Truth About Using Biodiesel," to be presented by Bob King. Through long-standing partnerships working with automakers on biodiesel initiatives, National Biodiesel Board members can save big on a new vehicle from Detroit's Big Three automakers as more diesel models enter the marketplace than ever before. The U.S. government has imposed sanctions against Russian individuals and companies in response to Russia's military action in Ukraine, which can make doing business in Russia a risky proposition. The National Biodiesel Conference & Expo, Jan. 19-22 in Fort Worth, Texas, is specifically designed to gather biodiesel decision makers from throughout the U.S. and the world in one place for education, and to jumpstart the year's business.